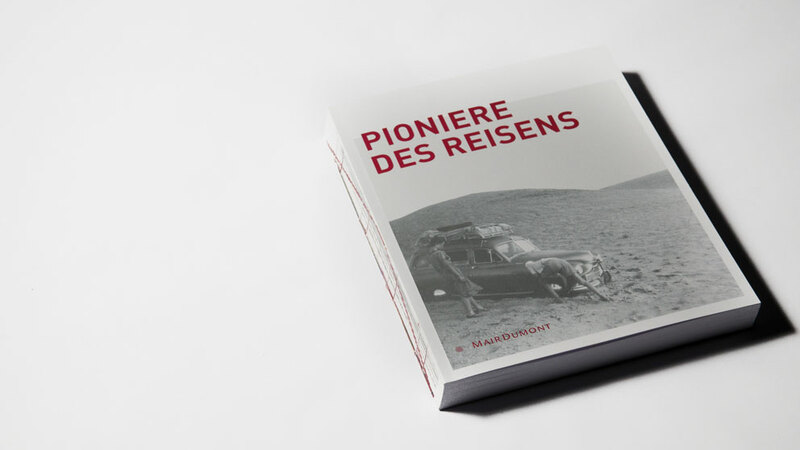 On the occasion of the 80th birthday of Volkmar Mair, the company film »Pioniere des Reisens« [pioneers of travel] was to pay homage to the publisher’s passion for travel and his pioneering work. The film takes the audience on an emotional journey through the history of the traditional company MairDuMont, from its beginnings, which still influence the company spirit to this day, to the present and all the way to a promising future. The film, which follows the style of a documentary and thus features an easily understood and authentic narrative form, is based on two different types of source material: historical photographs and images from the company’s beginnings, and recent interviews with family members. These two authentic levels are linked with each other through a fictional element: a book that runs through the entire film as a leitmotif. It is passed on symbolically from person to person. It sometimes appears quite incidentally only to be the focus again a short while later. It links the past with the present and the future. And it is a credible symbol for a publishing house. 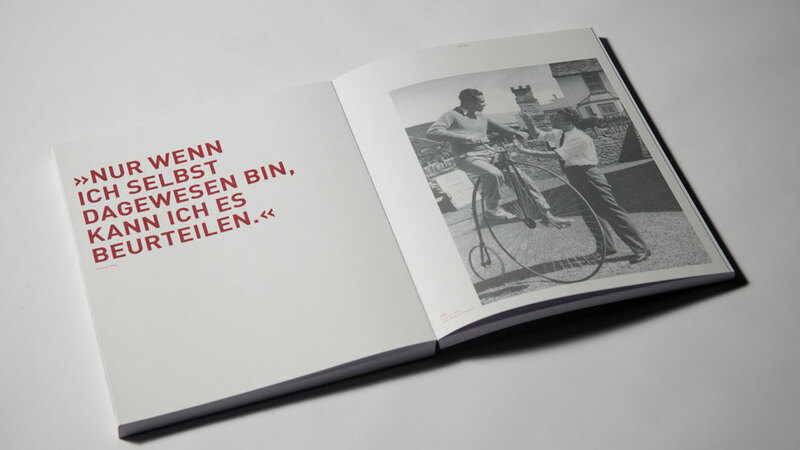 The book, originally one of the film’s protagonists, was so convincing as an autonomous object that it went to press after the production of the film. In order to do justice to the Mair family’s endless thirst for adventure, a magnificent format was chosen. 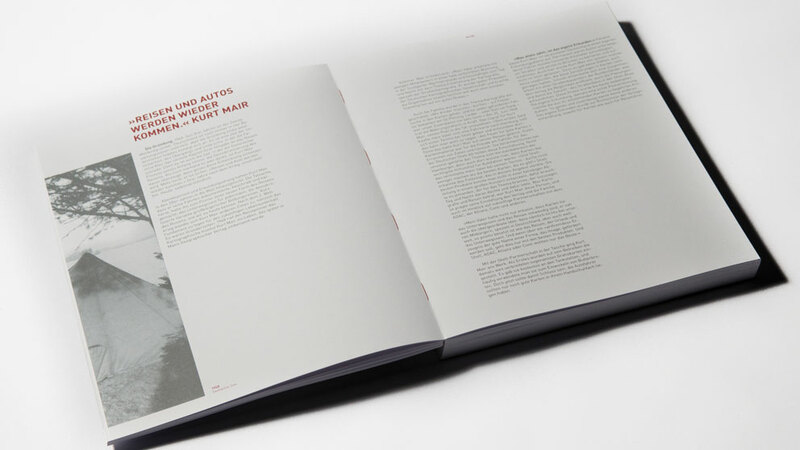 The open back, the textured uncoated paper and the red thread stitching underline the incredible pioneering achievements. The extraordinary pictorial language sends the observer on his own journey. 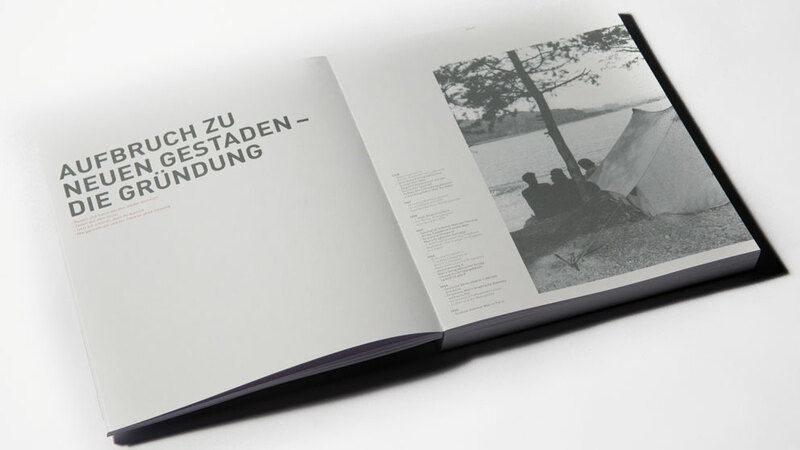 The images run across the pages of the book as a band, so that often all you can see is excerpts, which yield an overall picture only when you turn the pages: the result is a “film strip”, the reference to the film.